This summer has been a fun and adventurous one for SOMA. We are grateful to everyone who came out to our events and want to share some of the fun with those who were unable to make it. Here is a recap of our summer events! Once the nice weather hit, we kicked off the summer by taking advantage of the beautiful trails and scenery Hamilton has to offer. We went to Sassafras Point just behind McMaster Campus. An added benefit to our hikes was the accompaniment of our four-legged, furry friend, Loki. Following the hike, SOMA hosted a movie screening of “The PhD Movie” on July 26th. SOMA covered the food and the movie provided the all too relatable jokes making it a great evening. In case you have not heard of the Piled Higher and Deeper (PHD) comics, it is all about graduate school life. Here are a few of their comics for your enjoyment. At the beginning of August SOMA hosted our very first Paint Night. Pictures of neurons were beautifully painted by all, and after a great evening and looking at all the finished products, it was safe to say we have several artists in our program! Scroll through and check out their incredible artwork! 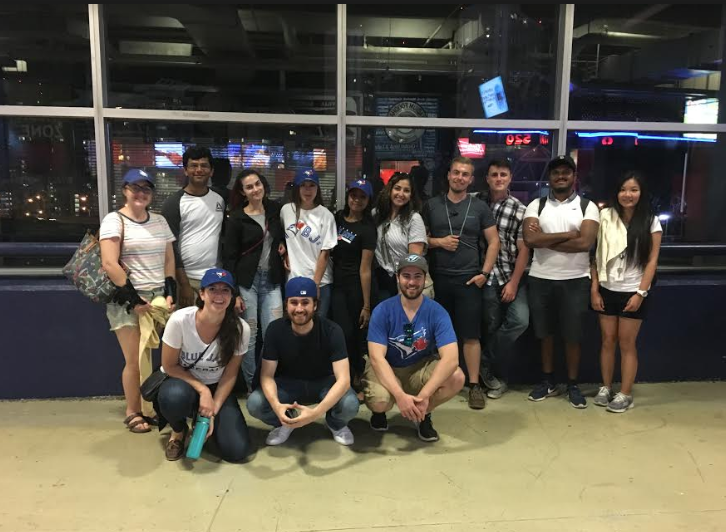 For the final event of the Summer, SOMA organized a free trip to Toronto to watch the Toronto Blue Jays take on the Baltimore Orioles. 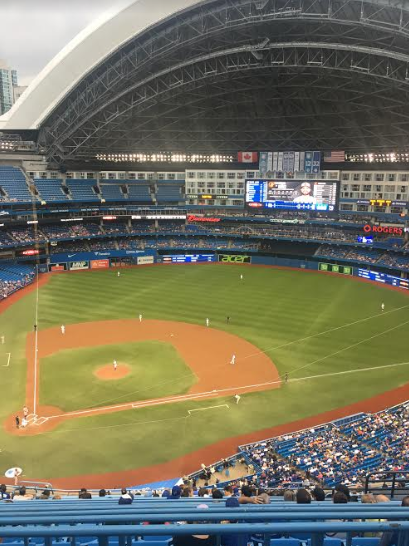 We must be good luck because they won 5-3 with two big home runs by Kendrys Morales! MiNDS students got to connect, relax and enjoy some snacks while watching the game. The game was very entertaining, and we were happy to meet a few of the incoming students at the event! SOMA is excited to continue planning social events for this year, including a scavenger hunt for the incoming class in September. We will also be restarting our bi-weekly trivia nights on Tuesdays at the Phoenix. A few upcoming events will also include: a hike to Dundas peak once the autumn foliage colours set in, holding a group study night so we can write and study in the company of friends, and of course, hosting our annual Halloween event in October. Please keep an eye out for our e-mails regarding specific dates and times so you can join in on the fun! This coming November and December SOMA will also be asking for nominations for the next SOMA president-elect to help plan more events. We hope to see as many people as possible at our events this year!